Being a past life regression therapist, I have a deep understanding of karmic replay. I get to see many suffering people who, in their past lives have done things that have brought the present misery. Being an Endodontist, the way I do root canal treatment (RCT) for my patients is the karma I am accumulating. And so are the millions of dentists around the world. Common people hardly have the knowledge of how a proper root canal treatment should be done. So a lot of things can be done in the name of root canal treatment, which makes it possible to receive money for the same tooth multiple times. When root canal treatment is decided for a tooth, many times it is having infection in the bone surrounding the tip of the root. The root canal is harboring millions of bacteria, which produce toxins that go beyond the root into the tissues around and cause dissolving away of bone. When we clean the root canals thoroughly, removing majority of bacteria, and give a leakage proof seal, reparative mechanisms of body take over and deposit the bone that was lost due to infection. But there are two things to be considered. One is that all root canals are curved (in the patient’s radiograph, it may look absolutely straight) and the diameter of the canal at the tip of the root is much larger than seen the radiograph. This is because we are seeing just a two dimensional picture of a three dimensional area. When we take a radiograph of an extracted tooth from the other direction, we can verify both these factors. 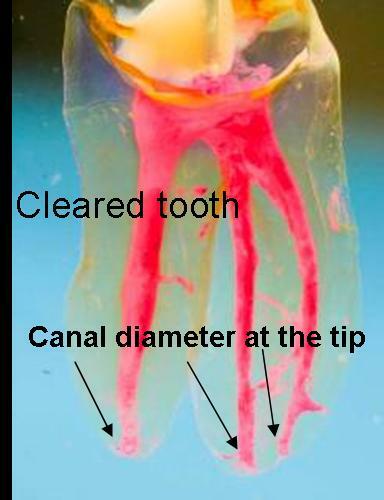 When a root canal treated tooth fails, if we cut one mm from the root tip and examine under magnification, we get to see that all the canal walls have not been touched, cleaned and properly filled. Once the canals are opened and a little bit of cleaning is done, the healing starts and the patient gets relief from the problems. 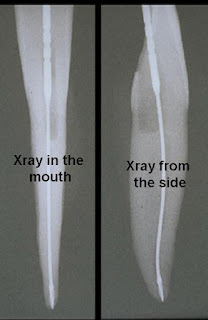 But if that tooth has to remain in a healed state for the rest of the patient’s life, two factors are needed. The root canal walls, especially at the tip area, should be cleaned thoroughly and filled completely. 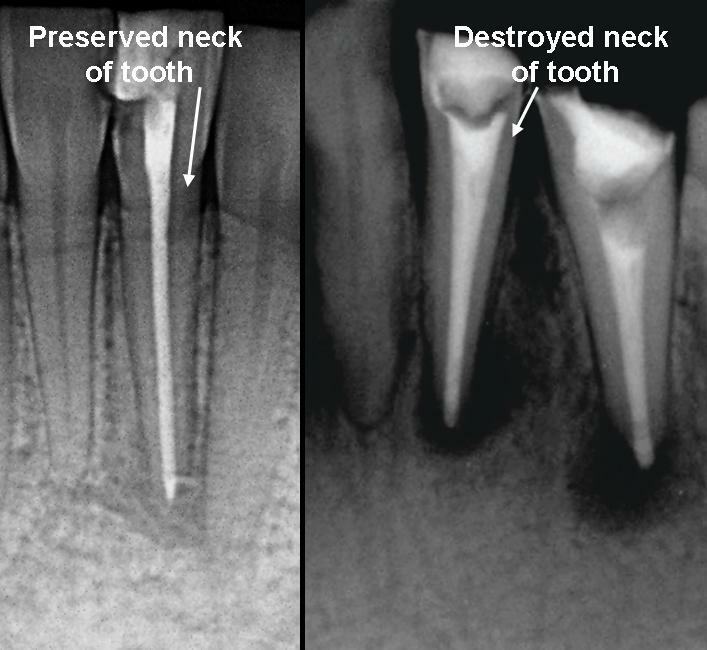 The tooth structure at the neck of the tooth should be preserved, without cutting off too much of this healthy area. This region acts as a fulcrum during chewing movements and if it is weakened, the tooth will break and then it has to be extracted. Since all the root canals are curved, these two objectives are fulfilled only with extremely flexible instruments. By using these instruments, we are saving the tooth for a life time, or for at least many many years. This type of instruments, though manufactured (looks like they may stop making them), are not sold by companies, because then they can’t make HUGE profits. In today’s world, it is all about the balance sheet. The multinationals benefit a lot by selling the root canal instruments that they market vigorously, which are tapered, with more bulk and rigidity. Because they are stiff, they do not clean all the canal walls in the deeper areas, as they touch only half or less than half of the circumference. So after some time the lesion recurs and the patient comes back for retreatment. The dentist earns more, the company benefits. These instruments have large taper. So they weaken the neck of the tooth, leading to partial or complete fracture of the tooth. This necessitates further complicated treatment, or removal of the tooth and implant placement. Result: more money for the dentist and company. As these instruments are rigid, their fracture rate inside the canal is very high. More cutting of the root structure is needed (further weakening the tooth) to remove the fractured instrument. For this work, different sets of instruments and microscopes are a must. Thus, the dentist is getting more money from the same tooth and the company benefits tremendously. Too many re-root canal treatments? I started my endodontic work more than three decades back. 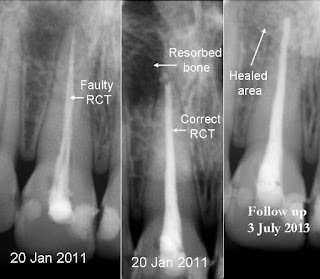 I have seen many patients retain root canal treated teeth (treated just once) till their death. Now when I look around, the re- root canal treatments are on an all time high. You can also check among your relatives and friends how many of them had to get re- root canal treatments done recently and how many who got it done once 20- 25 years back are still retaining the tooth. 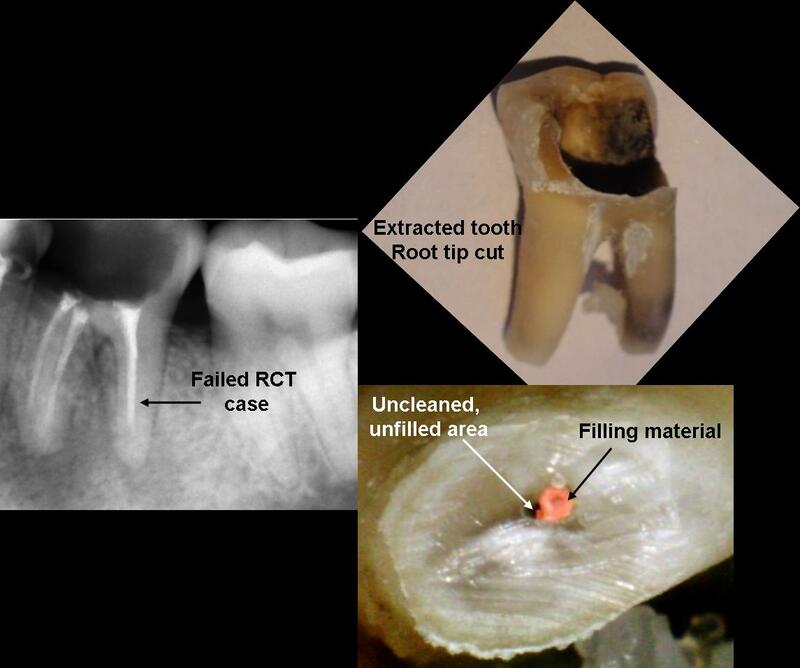 Many patients come back with fractured tooth, even when a cap was also made, after root canal treatment. But who cares? Dentists are earning more money per tooth, and the companies are laughing all the way to the bank! With the availability of the flexible instruments, albeit with great difficulty to procure them, at least some patients are getting proper treatment now. Once the company stops their production, then there won’t be anything to compare with. At the end of all this, what about the karmic debts of the dentists? 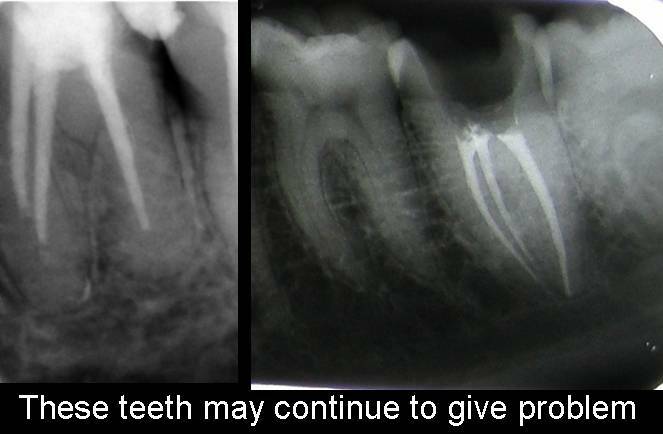 Just for one patient – how is your karma of doing the root canal treatment affecting his life? Multiply it by the number of patients you do root canal treatment. How many incarnations one has to take to clear all those debts? Is it very much severe in dental treatments please tell about its procedures and time period, which us very much looks to be frightened. so please tell about the cost.